St. Katharine Drexel of Philadelphia and her Sisters of the Blessed Sacrament, a religious community dedicated to the education of African Americans and Native Americans, established Xavier as a high school in 1915. The four-year college program was added in 1925. Today Xavier retains its distinction as the only historically Black, Catholic University in the United States. In 1970, the Sisters transferred control of the University to a joint lay/religious Board of Trustees. Dr. Norman C. Francis, a 1952 XU graduate, has served as president since 1968. He is the longest tenured college president in the United States. Xavier’s student body is predominantly African American (74.9%), but the university is open to all. Recent years have seen a growing influx of out-of-state students, yet more than one-half of the university’s 3,391 students are from Louisiana. The University’s pre-Hurricane Katrina (2005) enrollment was 4,100. Undergraduate students, regardless of their major are required to complete sixty-six hours of liberal arts core curriculum courses in English, Literature, Fine Arts, Foreign Languages, History, African American Studies, Mathematics, Natural Sciences, Philosophy, Theology, and Social Sciences in addition to courses in their major fields. Xavier offers preparation in 47 major areas on the undergraduate, graduate, and professional degree levels. The University is accredited by the Commission on Colleges of the Southern Association of Colleges and Schools. 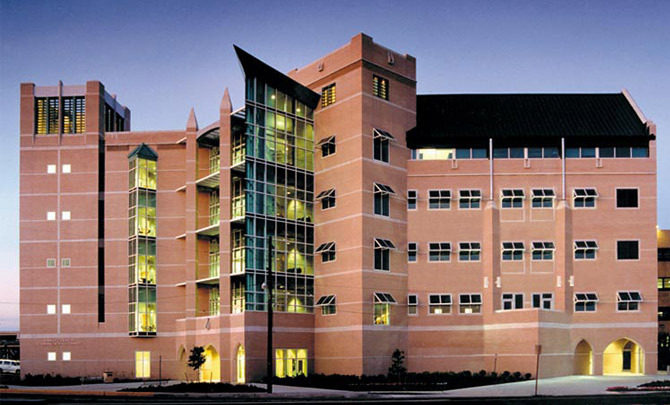 Its respective programs are accredited by the American Council of Pharmaceutical Education, the National Association of Schools of Music, the Louisiana Department of Education, the Association of Collegiate Business Schools and Programs, and the National Council for Accreditation of Teacher Education (NCATE). Xavier is also approved by the American Chemical Society. According to the U.S. Department of Education, Xavier continues to rank first nationally in the number of African American students earning undergraduate degrees in both the biological/life sciences and the physical sciences. In pre-medical education, Xavier ranks first in the nation in placing African American students into medical schools, where it has been ranked since 1993. In 2010, the University awarded 504 degrees. Alumni ranks have grown to more than 20,000.